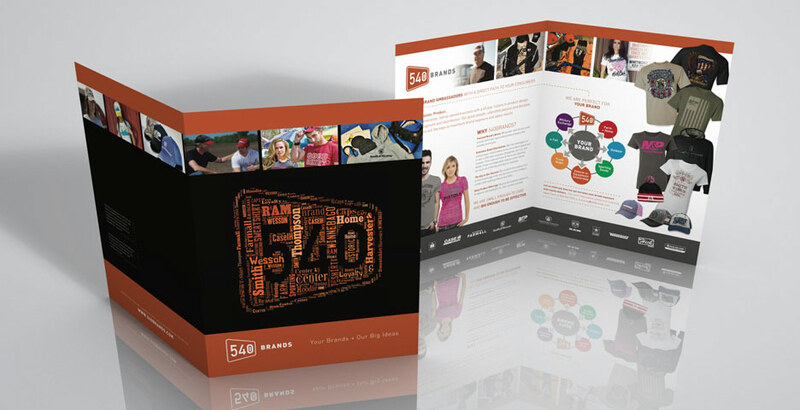 Why 540 Brands? This introduction brochure was designed to entice new customers helping 540 secure new private labeling business for their high quality garments. Customer list includes Case IH, RAM, Smith & Wesson and many more big brands.